It’s been said before, but for reasons that are becoming less and less valid as time goes by and these are no longer just used cars, the latest Italian spiders (forgetting the most depreciated F-elephants in the room) are still under-appreciated classics. Parts are easy to get locally or online, their performance is still competitive among modern cars, and their styling is iconic and critically acclaimed. Thanks to the rising tide in collector car values, or perhaps some increase in recognition, their obscurity can’t last forever. 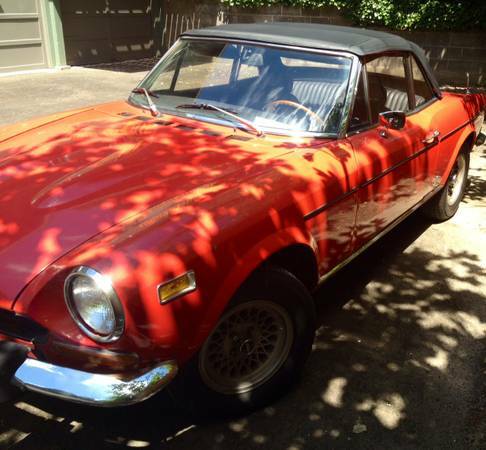 If you’ve ever thought of picking up one of these budget-friendly, shade-tree-friendly classics, you might want to act soon – what better reason to take a look at this 1974 Fiat 124 spider for sale for $2950 in Portland, OR? While you might prefer pale orange or dark green if you’re a contrarian, you have to admit that red is a classic color for these cars, which share many characteristics with contemporary Italian designs. Though it has some paint fade patina, squinting at these somewhat less than optimal photos doesn’t show any significant problems, and the seller says there is very little rust and only some minor dings. The top looks tidy, the mesh wheels are very 1970s and suit the car fairly well, and the faded paint actually suggests it’s been in the drier part of the state for a while. Here’s why you don’t photograph your car in partial shade. The car is said to have 58,000 original miles, though on a 5-digit odometer, and the seller says the car would work well as a driver as-is. The vinyl top is said to be newer, as are the tires, and the bumpers are straight. Mechanically, the car is said to be good, with the exception of puffs of white smoke. So you might want to count on a head gasket (or brake master, depending on the smell) and a new timing belt while you’re in there. The heater core has also been removed, so if you like heat in your car, plan on digging under the dash. 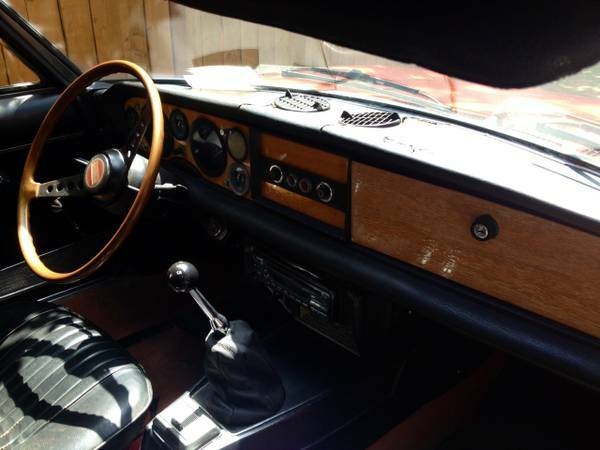 The picture shows the interior to be as you’d expect for a mostly original 40-year-old open car – some cracking, some weathering, but generally still usable. So with not much work, you have a car you can drive regularly as-is, and debug as you have time – would you jump on this train before it’s left the station? This entry was posted on July 14, 2014 at 3:18 pm and is filed under Feature. You can follow any responses to this entry through the RSS 2.0 feed. You can leave a response, or trackback from your own site. 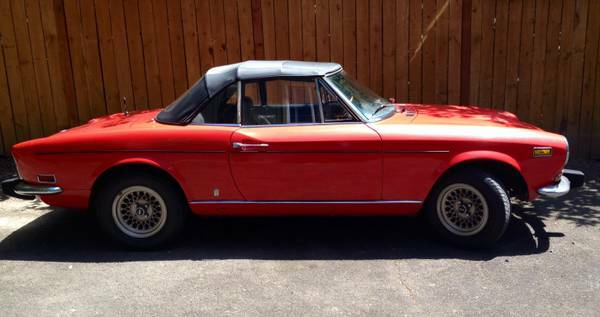 looks like fun but I think Miata’s are what holds back the value of these; $3K will buy a pretty decent one.